A lot of people will tell you that you should go to Sonoma County, CA just for wine right? Au contraire (french for on the contrary in case you didn't know). You see, in the midst of all the hills of grapes lies Santa Rosa. Santa Rosa is for beer, what Napa is for wine. It has some of the best beer (with 5 award winning breweries all within a 35 mile radius) and the best mountain biking on the west coast. 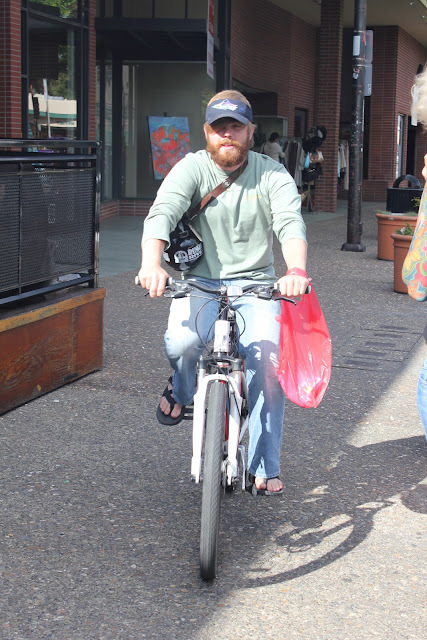 Luckily, when we visited Santa Rosa last May, our bikes hadn't been stolen yet. 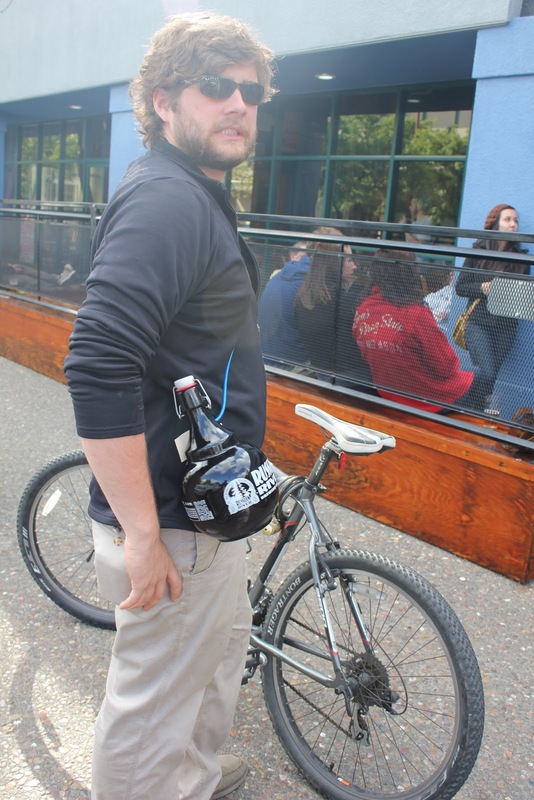 We had also already learned by then how to fashion a makeshift sling to transport our growlers via bike. We got to hit up three breweries while we were there, but Russian River Brewery was the by far the best, or the bees knees if you will. Pliny the Elder was one of our favorite beers. 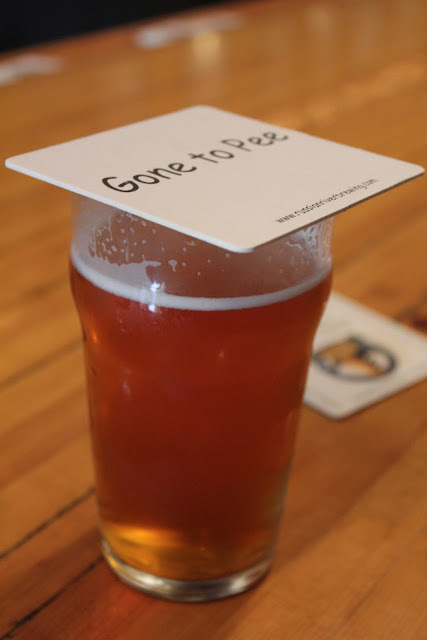 It is an 8.00% Double IPA that has won many awards. This is also where Em fell in love with barrel aged beers and barleywine. 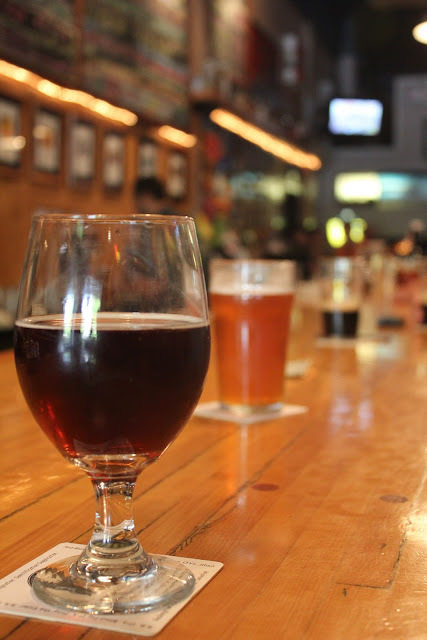 They age the beer in old wine barrels for 12 months, which allows for a slight taste of wine to absorb into the beer. Coolest sign I have ever seen in a brewery. Found one on ebay and will be purchasing. Pliny the Elder was the beer we chose to fill our growlers with. The growlers at this brewery were awesome too by the way. "Quick makeshift bike lock growler carrier sling"? or a "Quick makeshift brown leather belt growler carrier sling?" More Brewsdays and Totally Terrific Tunedays coming soon!